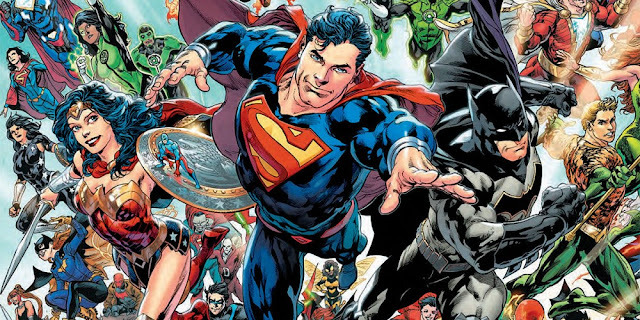 So far so good, as DC Comics' "Rebirth" titles hit store shelves this week and early indication is that fans are on board with this new initiative. "Batman: Rebirth,""Green Arrow: Rebirth, "Green Lanterns: Rebirth" and "Superman: Rebirth" will all get second printings (avail. June 29) and "DC Universe Rebirth" from last week will get a third (avail. July 6). DC has released a promotional video celebrating the "greatest heroes and villains" with animated art from the new books (see below). If reviews mean anything (and they do) then "Rebirth" is off to a solid start. Review aggregator site ComicBookRoundUp.com has compiled mostly positive reviews for this week's line of titles. Only "Superman: Rebirth" #1 didn't fare as well as the others but still good numbers. Review copies were not made available to Spartantown from DC Comics. Next week we'll get "Aquaman: Rebirth,""Flash: Rebirth" and "Wonder Woman: Rebirth" and those are hotly anticipated as well. The new creative teams have fans very curious and excited. It doesn't hurt that some of the artists, like "Wonder Woman"s Liam Sharp, has been sharing previews of the art making fans even more enthusiastic for its release. Of course, early sales numbers should be promising, I mean this is why publishers reboot their lines in the first place. But if any pub needed a new direction it was DC and with Geoff Johns leading the charge, "Rebirth" might find redemption among fans and critics alike.